The American Red Cross teamed up with Congresswoman Yvette D. Clarke this last Sunday, October 28, 2018 in Crown Heights to provide emergency preparedness training to local residents at the Shalom Senior Center. Also supporting the event are NY State Assembly Members Jaime Williams and Diana Richardson. The event is part of the Citizen Preparedness Training, a partnership between the Red Cross and New York State providing free emergency preparedness education. The presentation titled, Prepare, Respond, Recover: What to do When Disaster Strikes, is taught by experienced Red Cross instructors and gives a comprehensive overview on how to prepare for natural and man-made disasters and how to respond to and recover from them. It also provides information on types of common disasters, ways to prepare as an individual, family and community member, what to do when disaster strikes and what actions you can take afterwards to aid in your recovery. Established in 2014, Citizen Preparedness Corps has empowered more than 60,000 NYC residents with emergency preparedness skills and resources. 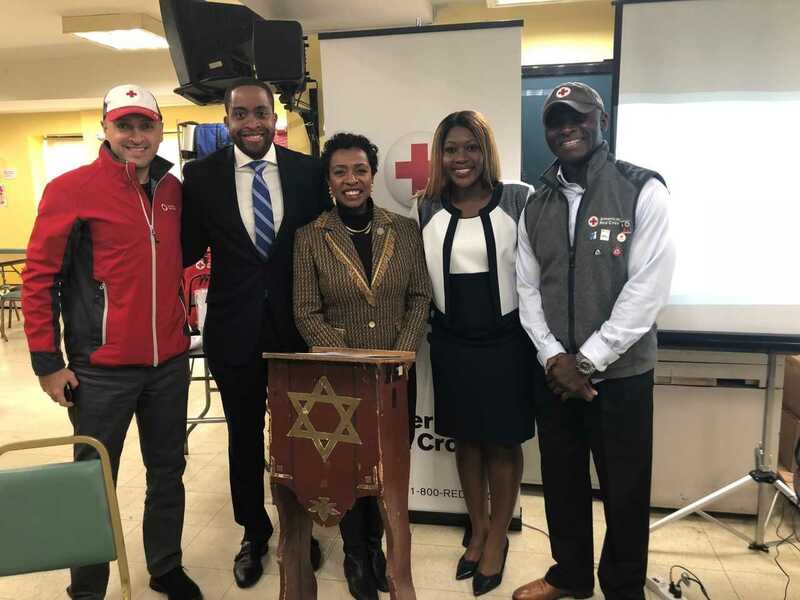 The partnership with Congresswoman Yvette D. Clarke represents an ongoing commitment by the U.S. House of Representatives to emergency preparedness. To learn more about the Red Cross Citizen Preparedness Training, click here.